The Buick brand is synonymous with luxury and a high-quality driving experience. Whether you’re looking to conquer the roadway in style while driving the Regal TourX or a more compact SUV like the Encore, you will find what you want at Carl Black Orlando. Maybe three rows of flexible first-class seating is what you need. Then we suggest either of these mid-size SUVs like the Enclave or Enclave Avenir. We specialize in helping our customers find the ideal vehicle like one of Buick SUVs or crossover models that will take your everyday driving experience from ordinary to extraordinary. We have a variety of SUVs and crossovers in our inventory, whether you are looking for a new, used, or certified pre-owned vehicle. 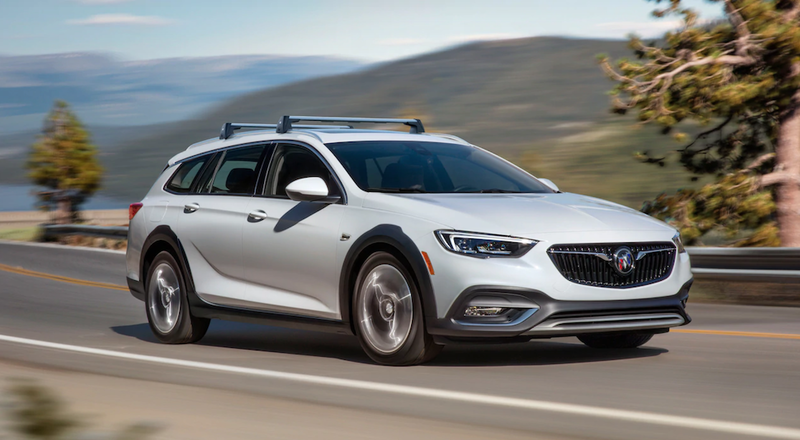 Take a look at some of the Buick SUVs and crossovers listed below that may meet all the criteria on your checklist for the vehicle you want to buy. 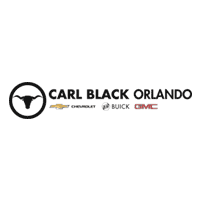 Here at Carl Black Orlando, we have a variety of vehicle choices for you when you’re ready to check out our Buick SUVs and crossovers. Whether you’re looking for a more rugged style, elegant and classic look, or compact SUV, we have the vehicle that will suit your needs. We offer comprehensive service from the first time you step onto our dealership lot to test drive a vehicle, throughout the purchasing process, and helping you maintain a well-serviced vehicle with our service department. You’ll love the customer-centered experience at our dealership. If you want to drive a Buick that has a rugged design, then the Regal TourX is ideal for you. Drive confidently on all your adventures with this TourX that has a starting price at $29,070. It offers an estimated 21 MPG for city driving and 29 MPG on the highway. You’ll love the available hands-free liftgate and flexible cargo space to store any of your gear for your next hiking adventure. This vehicle offers cutting-edge connectivity features, so you’ll always stay connected even when on the go. Easily charge your mobile devices with the available wireless charging. The roof rails come standard and you have the option to upgrade to accessory cargo crossbars. Buick SUVS and crossovers are designed with the customer’s safety in mind. A variety of safety technologies are available like forward collision alert, lane change alert with side blind zone alert, and more. The Enclave Avenir has a distinctive stylish design with three rows of luxury seating for roomy comfort for you and your passengers. This mid-size SUV is the epitome of the highest luxury in the Buick line of vehicles. If you want to stand out in all your travels, you’ll love the textured look of the upper and lower grille that features a Black Ice finish and includes exclusive chrome wings. The stylish luxury look continues with the 20-inch alloy wheels that have a Pearl Nickel finish. The luxurious design continues inside the vehicle with real wood accents on the steering wheel. The Enclave Avenir offers a variety of standard safety features including front pedestrian braking, front and rear park assist, and lane change alert with blind zone alert. With this SUV you’ll enjoy innovative connectivity and technology such as 4G LTE Wi-Fi, heated driver and front passenger seats, and wireless charging. The Enclave Avenir starts at $53,500 and offers up to 18 MPG in the city and 26 MPG on the highway. Another mid-size luxury Buick SUV is the Enclave that starts at $40,000 and has higher trim levels up to $50,895. You’ll get an estimated 18 MPG when driving in the city and up to 26 MPG on the highway. The Enclave has a sophisticated design with winged LED headlamps, the signature grille with chrome wings, and distinctive lines from the front to the rear of the vehicle. You and your passengers will enjoy premium comfort with optional heated first and second-row seating. There are three rows with seating for up to 7 passengers, so you’ll have no problem having room for your family and friends. The vehicle has an ergonomic interior design with cutting-edge QuietTuningTM technology. You have the option to upgrade to the available intelligent All-Wheel Drive that features an active twin clutch. You may be in the market for a compact luxury SUV. If that’s you, then the Buick Encore is perfect for you. This vehicle starts at $23,200 and has trim levels up to $30,735. This compact SUV offers great fuel economy with an estimated 27 MPG in the city and 33 MPG on the highway. This vehicle is perfect for city driving and for individuals who want easy maneuverability when parking. You can fold down the rear seats and benefit from up to 48.4 cu.ft of extra cargo space for transporting your groceries. This SUV offers innovative features like QuietTuningTM with Active Noise Cancellation. Drive with confidence in the Encore knowing that you and your passengers are safe with standard safety technologies like front and rear park assist and lane change alert. You may be in the market for one of the Buick SUVs that offer a unique athletic looking design. If that’s the case, then the Buick Envision is the right SUV for you. From every angle of the exterior, you’ll love the athletic look. The interior offers a luxurious design with comfortable seating for up to five people. You and your passengers can ride in comfort and easily hear each other due to the cutting-edge QuietTuning technology. This vehicle starts at $31,995 and has trim levels up to $41,195. There is an available 2.0L turbocharged engine and Intelligent All-Wheel Drive with active twin clutch so you will enjoy the high-performance of this vehicle. You’ll benefit from an estimated 22 MPG for city driving and 29 MPG for highway driving. Easily load items into the rear cargo area with the hands-free liftgate. Some available safety technologies include lane change alert with side blind zone alert, forward collision alert, and rear cross traffic alert. When you visit Carl Black Orlando, you will get a customer-centered experience from one of the Top New Car Dealers in the Southeast. Our sales team is ready to help you find the right Buick SUV or crossover that will fit your current lifestyle and driving needs. You will find that we have an extensive selection of new, used, and CPO cars that are available for you to test drive. We offer competitive prices, high-quality vehicles, and excellent customer service. So, whether you are driving from Cocoa Beach, Tampa, or Winter Park, you will find the vehicle you need at Carl Black Orlando. Contact us today to schedule a test drive and meet with a member of our professional sales team who is ready to help you. We are here for you even after you purchase your vehicle. We have highly trained technicians who use genuine GM parts to service your vehicle and help you save money in the process with our service specials. We offer convenient online scheduling for any regular maintenance or other vehicle service needs. We want to help you keep your vehicle in the best working order so that it offers optimized performance for you each day.